Published: April 23, 2012 at 04:17 p.m. Updated: April 23, 2012 at 06:11 p.m.
Auburn and Alabama have one of the most storied rivalries in college football, but who has the edge when it spills over to the NFL? Here is a look at some of the best players from Auburn and Alabama and you can be the judge. 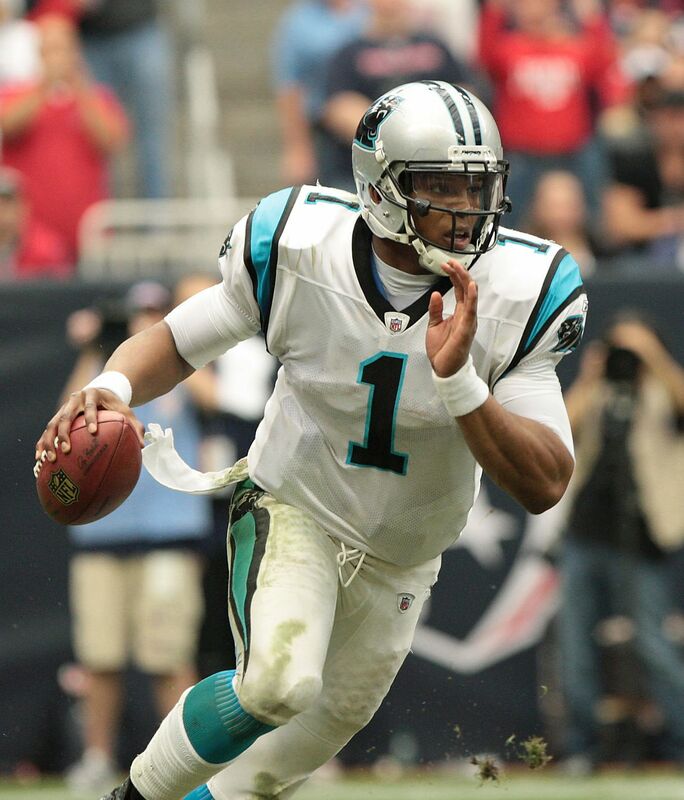 Newton had arguably the best rookie season of any player in NFL history, maybe even sports history. Newton set single-season rookie records for passing yards (4,051), most total touchdowns (35) and rushing touchdowns by a quarterback (14), along with other numerous other marks -- too many to mention. Jackson might have been the most feared runner to ever put on a pair of shoulder pads. NFL enthusiasts are left to debate what kind of a career Jackson could have had if he didn't play baseball and if an injury hadn't prematurely ended his football playing days. Instead, we are left with indelible images of him flattening opponents. Not to mention plenty of video game highlights, too. Cribbs is another running back who leaves many to wonder "what if." Cribbs came to Buffalo after the O.J. Simpson era and bridged the gap nicely with three Pro Bowl appearances during his first four seasons. But Cribbs jumped to the USFL's Birmingham Stallions for the 1984 and 1985 seasons, costing him two huge years during the prime of his career. He was never the same in a return to the Bills and the NFL in the 1985 season. Spikes has been one of the best linebackers in the NFL during his era, but he holds a very dubious mark. Spikes has played in the most regular-season games without making a playoff appearance -- a streak that topped 200 during the 2011 season. Rogers failed to live up to expectations with the Redskins after being selected ninth overall in the 2005 NFL Draft. But he flourished in San Francisco under coach Jim Harbaugh. In 2011, Rogers led the 49ers with six interceptions and was selected to his first Pro Bowl. Gatski was the rock of the dominant Cleveland Browns squads of the 1950s, as he anchored the offensive line for a team that won all four championships of the AAFC and played in six consecutive NFL Championships. Gatski never missed a game or practice in high school, college or professional football. He was selected to the Pro Football Hall of Fame in 1985. The debate might rage around who is the best receiver of all-time, but there was nobody who dominated his competition the way Hutson did during the 1930s and 40s. The "Alabama Antelope" led the NFL in nearly every receiving category every year he played and retired as the NFL's leader in receptions, yards and receiving touchdowns. His record for 99 career touchdown receptions stood for decades before it was finally broken by Steve Largent. Sports Illustrated called John Hannah the best offensive lineman of all-time in 1981, and you would find few in New England to argue against such a thing. Hannah was a 10-time All-Pro selection and tabbed the lineman of the year four times. So it appears a lot of others agreed with Sports Illustrated, too. The Tide has produced some of the best quarterbacks in NFL history. Starr might be the best, if you measured quarterbacks strictly by winning. Starr led the Packers to five NFL titles and wins in the first two Super Bowls. He was selected as MVP of both games. Starr was also a three-time NFL passing champion. Starr was a member of the 1977 Pro Football Hall of Fame class. Namath gave the most famed guarantee in NFL history when he said his underdog New York Jets would beat the heavily favored Colts in Super Bowl III. Namath backed up the promise and was a selected as the game's MVP - a third consecutive award for a quarterback from Alabama. Namath's career was cut short because of injuries, but he was selected to the Pro Football Hall of Fame in 1985. Newsome retired as the NFL's all-time leader for tight ends in receptions, yards and touchdowns. Newsome ranked fourth all-time in receptions for all receivers. While his records have now fallen, Newsome is still regarded as one of the best tight ends to ever play and he was inducted into the Pro Football Hall of Fame in 1999. Thomas was considered one of the best pass rushers of all-time as he dominated the competition for the Chiefs in the 1990s. A nine-time Pro Bowler, Thomas set an NFL record with seven sacks in a game against the Seahawks in 1990. Thomas is one of just 25 players in NFL history to top 100 sacks in his career, and he was selected to the Pro Football Hall of Fame in 2009.